"Strong, unassuming'' Altrusa Club of Taieri member Clare Banks has won a prestigious national award for leadership. The only national Altrusa award for 2018, the Margaret Inch Leadership Award reflects a member's dedication to their community. Mrs Banks has been a very active member of the Altrusa Club of Taieri for more than 33 years. She joined as a charter member for the Taieri club, and has held every leadership and administration position since then. Altrusa Club of Taieri president Claire Paterson said Mrs Banks' character, dedication and energy were an inspiration to all club members. "Her strong, unassuming character attracts the type of women in the community who, like her, aspire to make their community a better place to raise families and develop and strengthen a sense of belonging,'' Mrs Paterson said. Mrs Banks and her husband run a lifestyle property on a significant historical site - the original Thomson & Co mineral springs. In addition, Mrs Banks' active role as mother and grandmother, full-time career as a physiotherapist, along with her contribution to the community through her passion for the equestrian scene, had meant a very busy life, Mrs Paterson said. Mrs Banks began Dressage Otago in the 1970s and had mentored many new members, as well as being a List 2 judge for dressage events throughout New Zealand. She had organised the dressage competition for the Masters Games over the 30 years of the two-yearly competition, along with having a commitment to the Otago Taieri A&P Show. 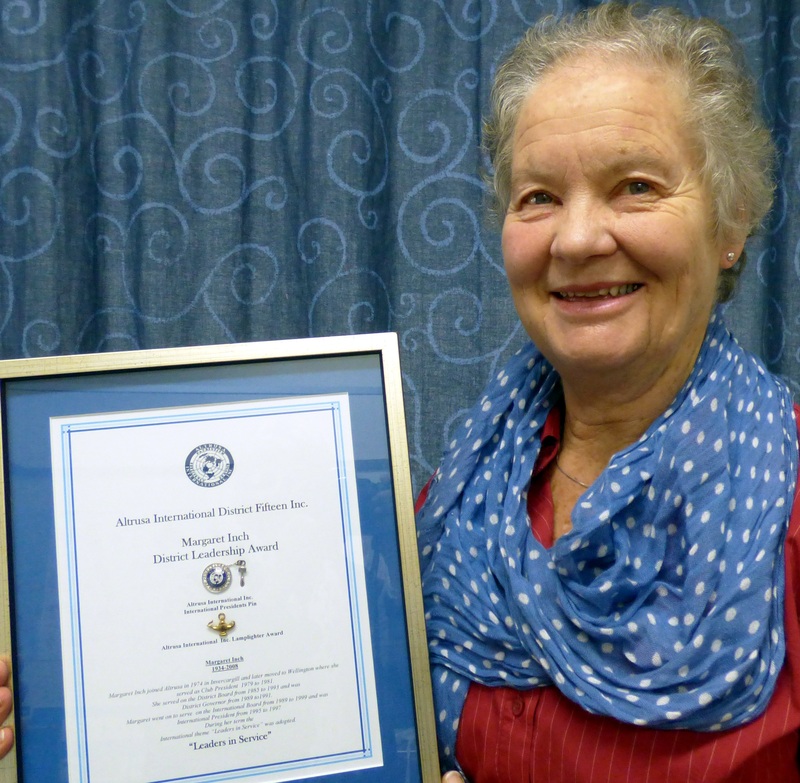 "The Altrusa Club were delighted that Clare accepted this very special national award, reflecting her dedication to our community,'' Mrs Paterson said. The Margaret Inch Memorial Leadership Award is given by Mrs Inch's family in recognition of her role as a past International President of Altrusa.